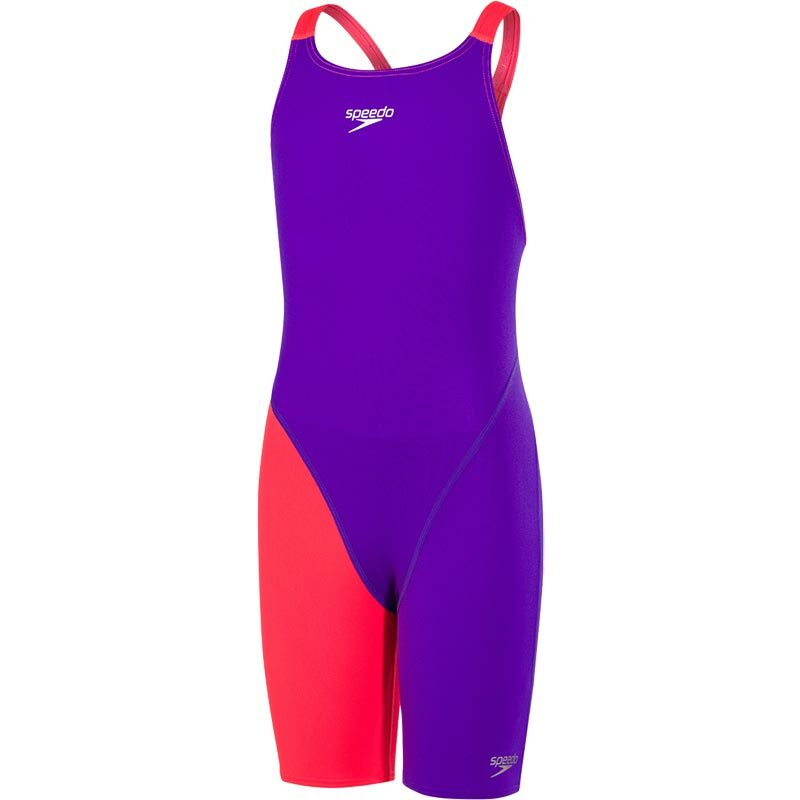 The Speedo ® Fastskin Endurance Plus Open Back Kneeskin is a FINA approved kneeskin and part of the medal winning Speedo Fastskin collection. Built for young competitors, its open back style and 4-way stretch technology ensures comfort and freedom of movement, allowing you to focus on your race. It's designed to last and withstand everything your race day swim sessions throw at it. Unique asymmetric leg and straps create the perfect stand out design. Open back style for great freedom of movement. 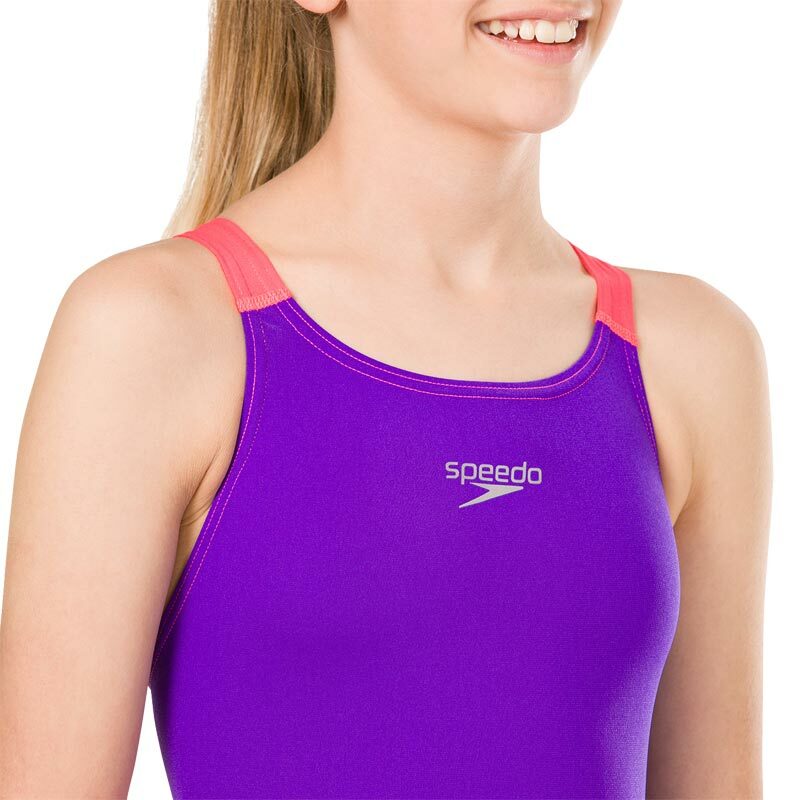 100% Chlorine resistant, so your swimsuit won't degrade in the pool. Endurance+ fabric retains its shape and resists fading for longer than other swim material.